You may have heard the joke made by the late Johnny Carson about fruitcakes: "There is only one fruitcake in the entire world and people keep sending it to each other." We know this isn't fact, but considering how long a properly made and stored fruitcake can last, it is a possibility. The alcohol added to the cake to age and maintain it acts as a preservative, allowing people to keep—or regift—the fruitcake for years and years. There are three steps to making a fruitcake: The actual baking, the aging process, and then proper storage. 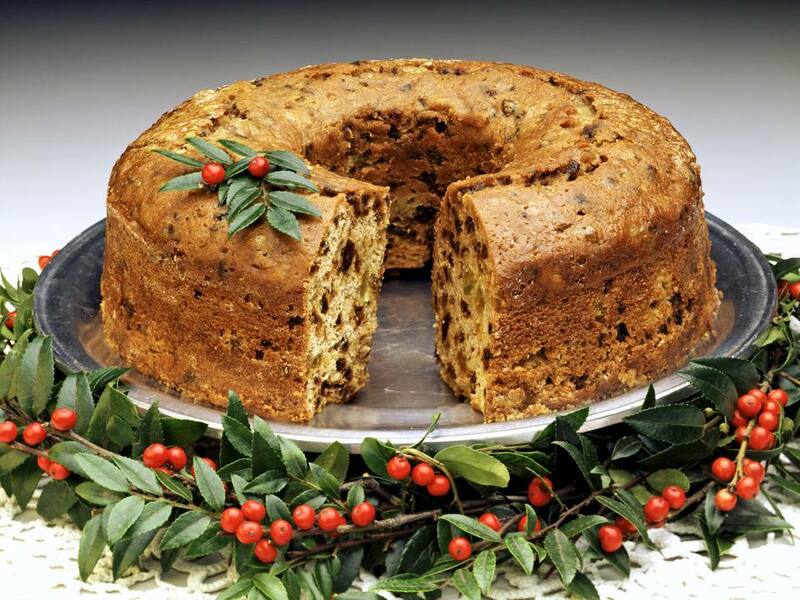 The aging process is between one and four months; therefore a fruitcake should be made well in advance as it needs to sit for quite some time. After you bake it, it is time to give the finished fruitcake its preservative treatment: Soak cheesecloth in brandy, bourbon, whiskey, rum or other liquor and then wrap it around the cooled fruitcake. Cover with aluminum foil, or seal in plastic wrap or a storage bag, and put in a cool, dry place to allow the fruitcake to ripen and age. Once a week you should brush the cake with more liquor. Fruitcakes soaked in liquor can last for years if you periodically add more liquor (since alcohol kills bacteria it slows down the spoiling process). You can do this by wrapping the cake in brandy or wine-soaked towels and then covering tightly with plastic wrap or aluminum foil. Some fruitcake fans won't even touch a fruitcake until it has aged at least three years, although it's generally recommended that soaked fruitcake should be consumed within two years. Fruitcake should be tightly wrapped and stored in the refrigerator. If you have not covered the cake with a liquor-soaked cloth, unwrap every few months and drizzle the cake with liquor, being sure to re-wrap tightly. Fruitcakes are among cakes that freeze well but need to be aged at least four weeks before freezing since the alcohol doesn't mellow while frozen. Interestingly enough, the fruitcake's life is shorter if frozen—only one year—than if refrigerated. If frosting the cake, you should do so close to serving time and not beforehand. Using a skewer, poke numerous holes into all sides of the cake, pushing the skewer all the way through to the other side. Add 1/2 cup alcohol, such as brandy, cognac or rum, to a saucepan with a bit of orange zest. Place cake on top and heat until the liquor begins to simmer. Cover and steam for a few minutes; spoon the sauce all over the cake. Continue covering the pan and then spooning sauce until most of the alcohol is absorbed. Remove from the heat, cover the cake and let sit for five minutes. Set the cake on a plate to cool and serve.